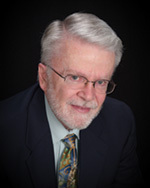 Larry L. Perry, CPA, has been in practice for over 40 years. He writes accounting and auditing manuals and is currently an author and presenter of live staff training seminars, live webcasts, and self-study CPE programs, including self-study courses for Western CPE. He’s a managing member of CPA Firm Support Services, LLC, an organization that provides resources, training, and consulting to smaller CPA firms. Larry focuses on practical ways to perform effective and efficient accounting and auditing engagements.